As employment-related litigation rates continue to rise, employers must look for ways to proactively protect themselves in a legal manner. Human resource compliance can be one of the most costly and time-consuming aspects for a business; can you streamline the process and prevent unnecessary risk? This program will get you up to speed so you can return to work confident in your abilities. 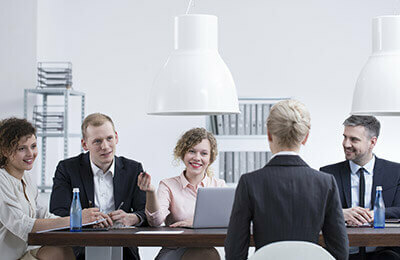 Know the fundamentals of human resources: from hiring to firing and everything in-between. Register today! Understand the importance of thorough and accurate paperwork when hiring new employees. Know what a handbook should and should not contain by exploring the advantages and pitfalls of various policies. Review alternative dispute resolution tactics that are effective and advantageous for employment-related matters. Appropriately apply wage and hour exemption requirements in gray areas such as outside salespeople and highly-paid computer professionals. Ensure compliance with federal and state WARN Act requirements when performing layoffs. Remain up to date on the latest developments regarding employee behavior and controversial social media policies. Identify techniques for controlling back pay during a National Labor Relations Board investigation. Learn the key steps to investigating employee misconduct thoroughly and legally. Searches of Desks, Smartphones, Lockers, Vehicles, Equipment, etc. Should You Have a Discipline Policy? What Goes in the Discipline/Discharge Letter? Final Pay - What Goes in It and Can You Withhold from It?? ?